Boxwood Blight | John B Ward Co.
Boxwoods defoliated from Boxwood Blight with closeup of the leaves. Top Right: Sticky fungal spores on infected twig. 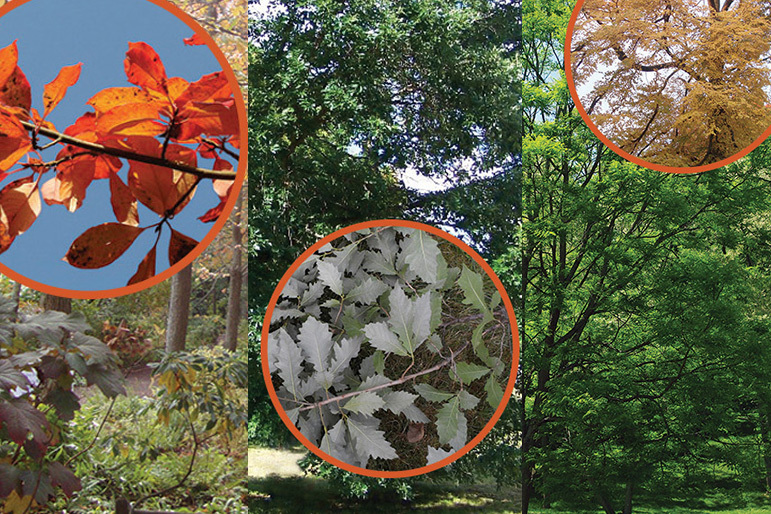 Bottom Right: characteristic dark streaking on twigs. Boxwoods are the most popular evergreen shrub in our area. They are deer-resistant and easy to grow, and are available in several varieties to suit different needs. Common disease issues with boxwoods are usually associated with cultural problems like poorly drained soil or cold weather. Last year, however, we encountered a new disease called boxwood blight. 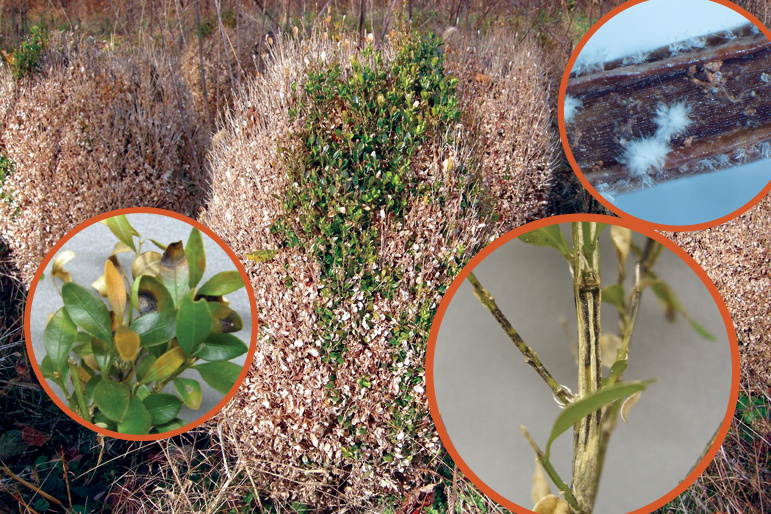 Boxwood blight is a deadly fungal disease that causes defoliation and decline in boxwoods. It is easily transmitted from plant to plant by rain splashing, pruning tools, clothing, and even animals. There are no practical treatments for boxwood blight once a shrub is infected. To keep boxwood blight from entering your landscape, we strongly recommend sterilizing any pruning tools used on your property before pruning boxwoods. Wiping all parts of the tools with 10% bleach is effective. 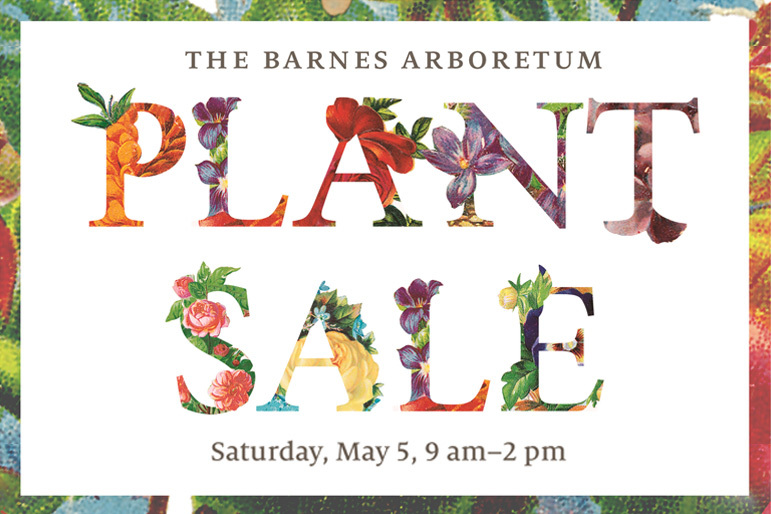 If you are thinking of installing new boxwoods, we encourage you to purchase plants from growers participating in the Boxwood Clean Program. This program was set up by the PA Department of Agriculture to "limit the possibility of introduction and spread of the disease for growers, wholesalers and retailers." 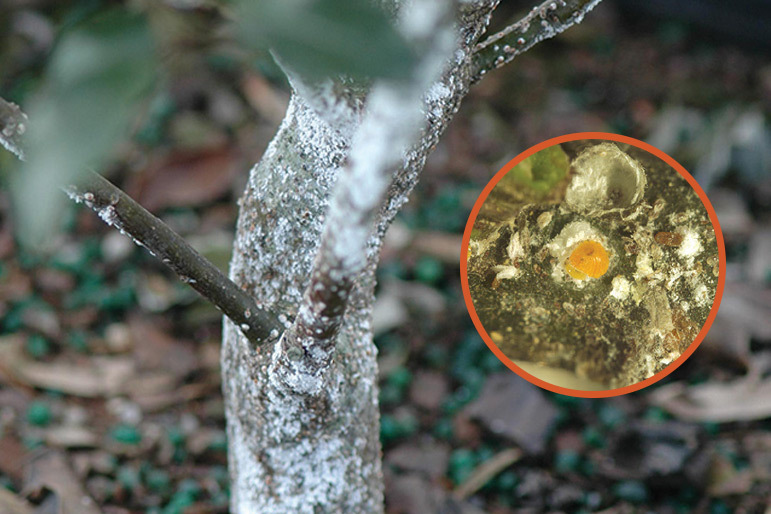 Once new boxwoods are installed, you should carefully monitor them for the characteristic leaf spotting, leaf drop, and cankers associated with boxwood blight. Please call our office to discuss protecting and maintaining your boxwoods so that we don't lose this important plant.